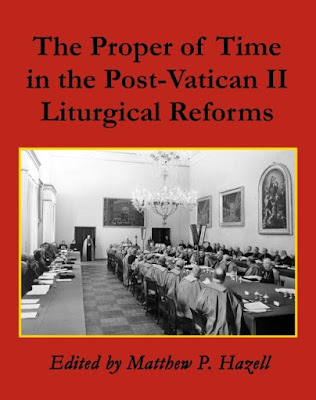 I am very pleased to announce the recent publication of The Proper of Time in the Post-Vatican II Liturgical Reforms, a new resource for the continued study of the post-conciliar reform of the Missale Romanum. 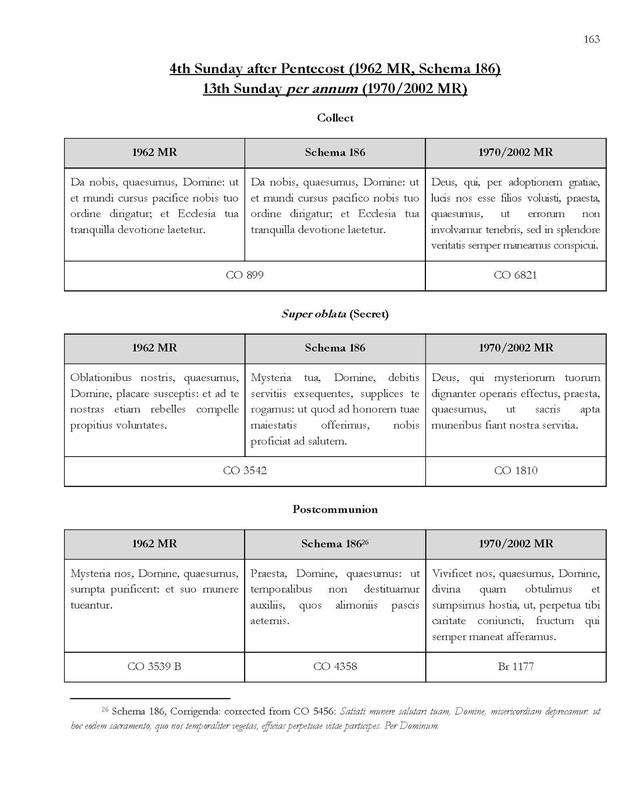 The aim of this new book is to allow easy comparison of the work of the Consilium ad exsequendam Constitutionem de Sacra Liturgia on the prayers of the Roman Missal with those found in the 1962 Missal and the 1970/2002 Missal. As readers of NLM are no doubt aware, the Consilium was the main body that was responsible for the reform of the liturgy desired by Sacrosanctum Concilium. 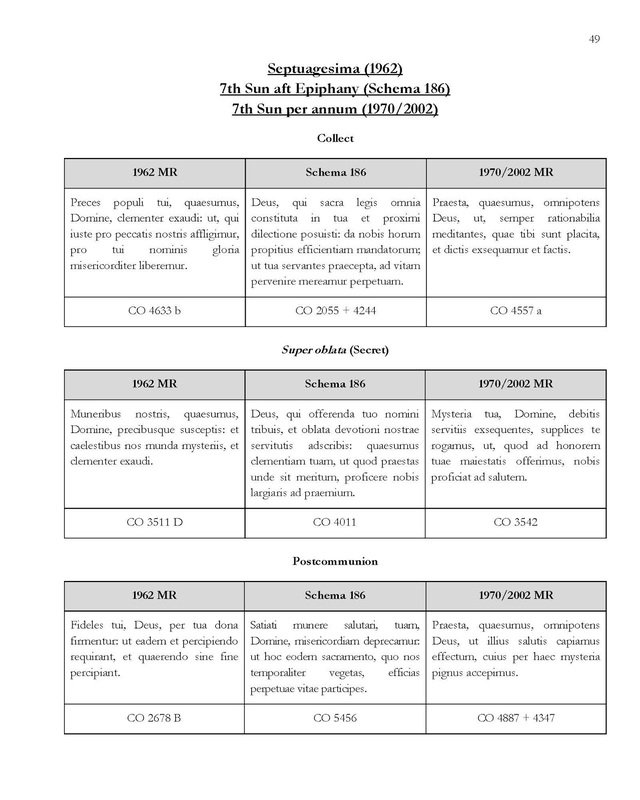 One of the documents of Coetus 18 bis of the Consilium, known as Schema 186, deals with the reform of the various orations (collects, super oblata, etc.) contained in the Proper of Time of the Roman Missal, and gives draft texts for each day in this section. In many places, this draft of the orations for the Proper of Time differs significantly from both the preceding liturgical tradition and the outcome of the reforms. These differences, along with the work of the Consilium generally, have increasingly been the object of scholarly study and enquiry in recent years. 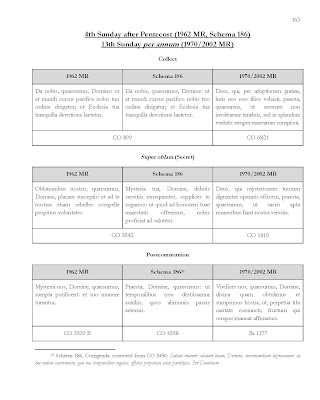 Now, in The Proper of Time in the Post-Vatican II Liturgical Reforms, the text of the corpus of orations in Schema 186 is readily available for the first time, and each prayer has been arranged side-by-side with those of the 1962 and 1970/2002 Missals for easy comparison. Each individual prayer has been keyed into the Corpus Orationum, to make it much easier for researchers to consult this indispensable set of volumes during any future analyses and comparative studies. 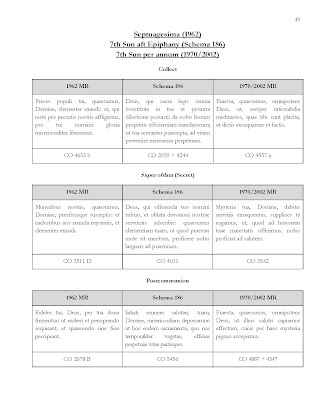 (The Corpus Orationum collates the orations from over 200 pre-Tridentine extant manuscripts, and makes it possible for one to determine how widely a given prayer was used, when it was used, in what contexts, and whether there are any textual variants.) 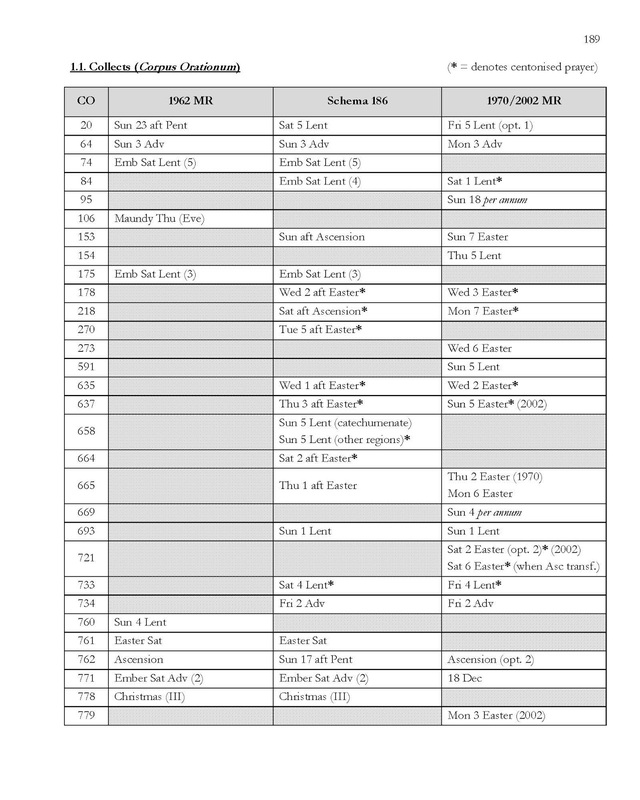 Various other tools and indices are also provided in the book to aid further study into this important aspect of the post-Vatican II liturgical reforms. 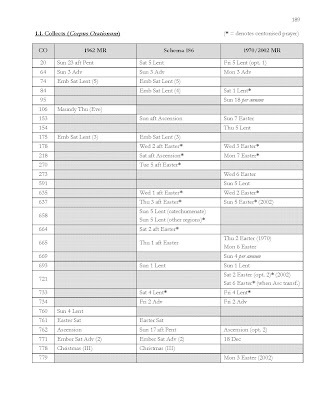 Finally, the Latin text of the first few pages of Schema 186, which explain some of the rationale and methodology of Coetus 18 bis, are provided, along with an English translation. Below are some preview pages. To purchase the book from Amazon, please follow the links above. Lauren Pristas makes many references to Schema 186 throughout her seminal work, The Collects of the Roman Missals: A Comparative Study of the Sundays in Proper Seasons before and after the Second Vatican Council (London: Bloomsbury T&T Clark, 2013).